BCS’ Security and Surveillance systems protect your business and your employees from internal and external threats. 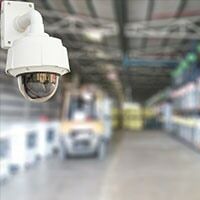 We partner with the world’s leading suppliers of video surveillance systems, including Hikvision and Axis, to guarantee total peace of mind for businesses of any size. Use our high-tech systems such as dome and bullet cameras, night vision, and thermal vision to monitor your office from anywhere in the globe, also with video recorders and servers at your disposal. Easily manage employee traffic, restrict access to sensitive areas in your facility, and prevent intruder entry through the use of different access control technologies that manage staff access.